2015 was a good year, and 2015 was a bad year. It was also a “bad turns into good” year. When things seemed down, they sometimes turned around in some sort of fashion that made them grasp some tendril of positivity. In that spirit – and as an homage to the Bell Curve section of a Philadelphia City Paper which died an unceremonious death this year – what follows is a list of 12 things that seemed bad (to me and, likely, others) at first, with a little bright-side-of-life sprinkled on top. 12. Mummers again face cries of insensitivity at the turn of 2015. So, this year’s Mummers will feature phase one of a newly found (or demanded) diversity push. Can't wait to see how that works out. 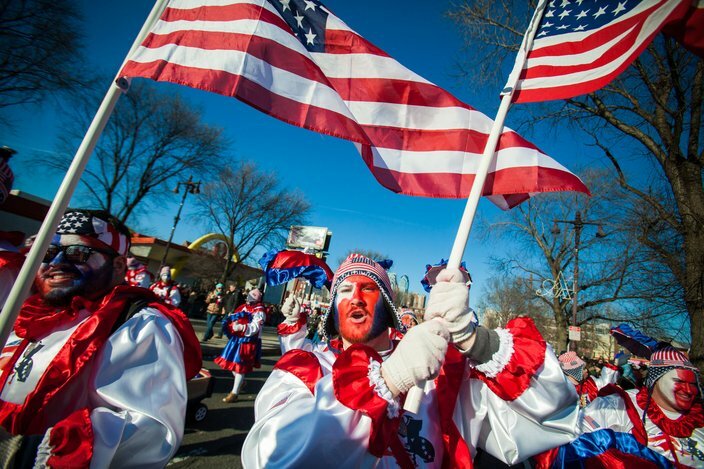 Scenes from the 115th annual Mummers Parade. 11. As "U.S. plans raids to deport families who surged across border," Mayor Michael Nutter reverses some aspects of the executive order addressing "ICE holds" in Philadelphia. Immigration activists have chided Nutter for this late-term reversal, but Mayor-Elect Jim Kenney has said, and reiterated, that he will reverse the reversal after his inauguration Jan. 4. 10. Diner en Blanc was held in Philly. Again. FFS. While it rained on their bougie white parade (aw, insert sad face emoji here), at least the Navy Yard location kept it from causing disruptions for common folk and local businesses. 9. U.S. Rep. Chaka Fattah charged with racketeering in a 29-count indictment; could face 420 years behind bars. In the Second District where no one’s come within 70 percent of the general-election vote since 1994, and with his trial looming, Fattah will seek reelection. Dems apparently smell blood in the primary field waters. Already lining up as challengers, in what’s long been considered a stronghold, are state Rep. Brian Simms (the first openly gay candidate elected to the state assembly) and state Rep. Dwight Evans, whose support of Mayor-Elect Jim Kenney was seen as a local-election game-changer. A once boooooring election could bring some heat, which is good for political observers. 8. The Philadelphia Phillies lost 99 games, worst in Major League Baseball. Amid a regime change, the Philadelphia Phillies did not invite general manager Ruben Amaro Jr. to return for the 2016 season. And the healing can begin. 7. A paltry 27 percent of registered Democrats bothered to vote in the May mayoral primaries. During a live debate, candidate Lynne Abraham fainted on stage, but the frightening moment remained just that, as the 73-year-old former district attorney got up off the canvas and hit the campaign trail full speed the next day. ... in charge of our town during a presidential election year. 5. An already-imperiled Atlantic City gaming industry could weather further damage should legislators support a constitutional amendment allowing casinos to open in the northern part of the state, like the path for Hard Rock International and the Meadowlands Racetrack’s plan to build a $1 billion casino in East Rutherford. No Atlantic City casinos closed in 2015! USA! USA! USA! 4. In Philadelphia football, the Eagles flopped around like a fish on a boat deck – looking like it could jump overboard to the freedom of the playoffs or find itself on the filleting table – while the Temple Owls brought the city some big-time excitement before a loss to Notre Dame started a 3-4 skid to end the season. Fear not, Philly gridironers: The Imhotep Panthers became the first Public League team to win a state championship with a 40-3 win in Hershey. Also, the Northwest Raiders – also based out of East Germantown – won its second consecutive Pop Warner Super Bowl title. 3. From tragedy, anger, desperation and cries for societal, institutional change emerges momentum behind a Black Lives Matter movement both nationally and locally. Though this created tensions throughout the country, protestors and their police escorts here seemingly entered into a harmonious arrangement where protests were held without major confrontation. It also served as a talking point that put T. Milton Street and Donald Trump in the same room for a nice chat, an occurrence that shouldn’t be underappreciated as a whimsical – albeit possibly incendiary – development. 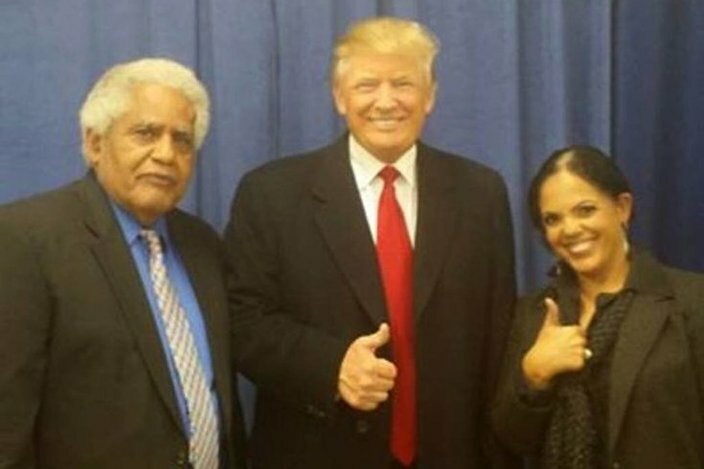 T. Milton Street Sr. and his daughter Renee Toppin met Republican presidential candidate Donald Trump on Dec. 2, 2015. 2. Streets in Center City and adjacent neighborhoods closed off to vehicular traffic during Pope Francis’ visit, sparking complaints aplenty from both residential and commercial communities. Whatever. It was glorious for bicyclists and pedestrians to temporarily reclaim Philadelphia and see it from angles heretofore unseen. Here’s hoping Jim Kenney follows through on plans to turn some sections of town into car-free oases in the near future. 1. 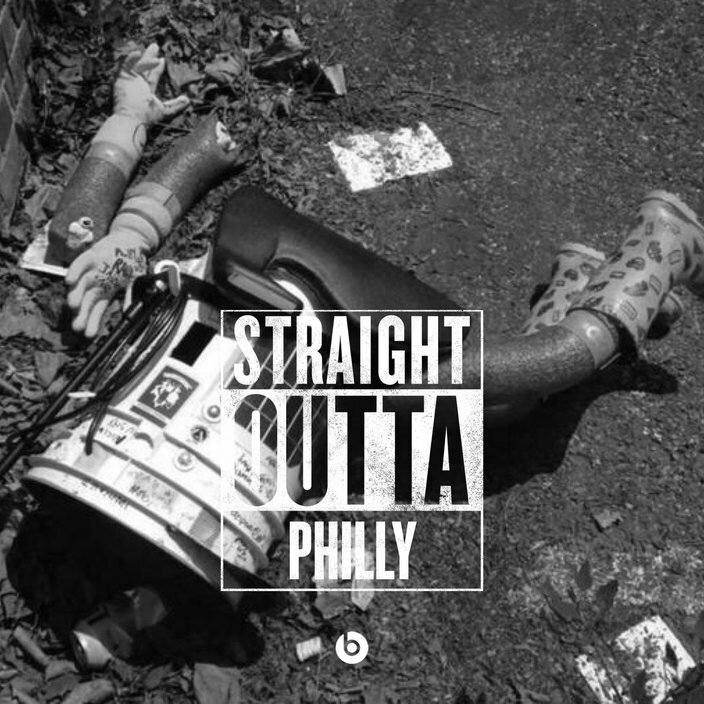 A lovable traveling robot from Canada named HitchBOT was killed in Philadelphia. Like the Flyers did with the Soviet Red Army in 1976, Philadelphia stepped up in the face of an intimidating foe, clenched its collective fist and defeated the enemy. Much like that Cold War Victory on Ice, defeating hitchBOT sent a message to the computer world: Think twice before bringing the Robot Revolution to Philadelphia. Did we miss any stories that fit the turnaround, twist-a-plot dynamic mentioned above? Let us know in the comments section. And, here's hoping you have a great 2016 ahead.